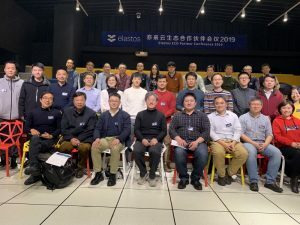 This week Elastos was honored as one of “China’s Top 100 Blockchain Enterprises of 2018,” while Elastos DMA founder, Brian Xin, gave a thorough update of the project in an interview with a community member. We are happy to announce that our new Cyber Republic forums are now live at https://forum.cyberrepublic.org. All logins are linked to your Cyber Republic login, this includes the forums and, in the future, your Elastos DIDs. Elastos was honored as one of China’s top blockchain enterprises of 2018. 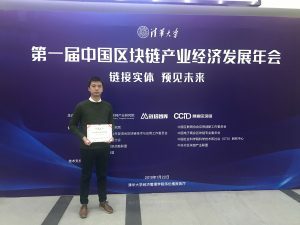 On January 22, the first Chinese Blockchain Industry Economic Development Meeting – Connecting the Real Seeing The Future jointly hosted by the Institute of Internet Industry at Tsinghua University, BlockData, and the CCID Blockchain Research Institute was held in Beijing, where several blockchain enterprises assembled to discuss combining blockchain technology with industry. The Vice Chairman of China Blockchain Ecosystem Alliance and Director of CCID Blockchain Research Institute Quan Liu issued “China’s Top 100 Blockchain Enterprises of 2018,” where Elastos was listed among those honored. 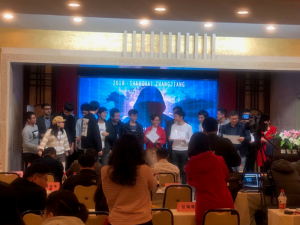 Director Quan Liu explained that the China Blockchain Ecosystem Alliance and the CCID Blockchain Research Institute selected 100 blockchain technology development companies whose focus is combining blockchain with the real economy from a pool of several thousand blockchain companies. Companies were selected based on their competitiveness, their commercial operations, innovation, technology, and the quality of their product. Elastos was selected to be part of the top 100 because of the project’s commitment to combining blockchain technology with the real economy over many years of work. Relying on its own superior technology, the resources of its ecosystem partners, and the ecosystem’s continuously expanding technological development, Elastos has provided opportunities for combining blockchain services and making new partnerships between ecosystem partners, thereby spreading cutting-edge blockchain industry information and promoting overall development and emergence of blockchain technology. The meeting acknowledged that the combination of blockchain with the real economy is becoming stronger, that traditional organizations are entering the space, and that development within the blockchain industry is beginning to move towards standardization, professionalization, and producing value. Could you expand a little on your business background? I call myself an internet veteran, with 22 years experience. I jumped into the internet industry in 1996, starting in Silicon Valley. That was around the early stage of the internet, just like how we’re at the early stage of blockchain these days. There were plenty of opportunities if you had imagination. I started the first startup in 1999, co-founding ‘Rivalwatch’ in the Valley with two partners as CTO. Rivalwatch was the first wave of internet companies targeting business intelligence. It used internet crawlers and data warehouse technology to provide competitive advantage data intelligence services to most of the e-commerce companies. The company was in the B2B domain and was acquired by another US company after 10 years. I went back to China in 2005 for family reasons, and also because of the booming business opportunities there. The second venture was Linktone, which was the first wireless value-added service company for the Chinese market, listed on the NASDAQ. I joined the core team as the VP of technology. The big time was when we worked with entertainment industry partners on the Chinese ‘Super Girl’ show. It was the first reality show in China with cross terminal interactions (mobile phone, TV, PC). Millions of Chinese people voted for their favourite singers by using our SMS voting services. The third venture was iKang. I joined as the early stage CTO and built the very first online healthcare management platform in China. The company performed well and was also listed on NASDAQ. I then spent three years as CTO at Microsoft MSN China. We built a data center for the North Asia area to boost the performance of Windows Live Messenger and other internet services, localising Messenger in the Chinese mobile market. The mobile MSN in China was two years ahead of the US version. It was a time that I got a chance to delve deeply into social media application and business. I found strong needs from traditional businesses to promote their business and services on social media, then founded StarryMedia, the first wave social media marketing company in China. StarryMedia provides digital marketing and e-commerce platform services to local business partners, especially in retail, city lifestyle, travel, hotel, and market research industries. We also tried several times to operate our ToC service in the consumer market, but failed. The real hurdle was the established platforms like Alibaba, Taobao, JD, Amazon, etc. They became the powerful middlemen, and were the monopoly on consumer traffic and data. It created an unfair market environment that stifled competition. Instead of trying to share a piece from them, we decided to do something totally different — a decentralised commerce platform. The Elastos project looked to me like a suitable platform to build it on. I strongly believe Rong’s vision of the Smart Web and ‘You own your data’. So, here we are. We formed a strategic partnership with the Elastos foundation and started the DMA project. I hope to build this DMA service on Elastos as the backbone for decentralised commerce. How did you get connected with the Elastos team, and what made you want to join the ecosystem? Rong, Feng and I are all Tsinghua University alumni. Rong’s company was pretty close to my company in Shanghai. I had known about Rong’s operating system project ‘Elastos’ for a decade and really believed in the vision. However, it is not easy to bring a platform project up without big community support and monetisation methods, even though it was technically advanced. 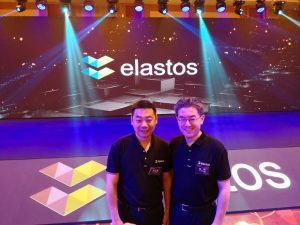 Brian Xin and Rong Chen at the Elastos Singapore Ceremony. 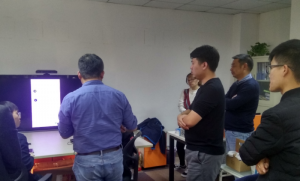 The DMA project was born in September 2018, as a platform project initiative by active community members, which is my team. It focuses on the decentralised digital market and commerce domain, which is our expertise. The meaning of the DMA project is not just an IT project to me. On one hand, it is the enabler of decentralised commerce and we can contribute our 20+ year platform experience to it. On the other hand, once it becomes an Elastos service, my traditional business will also benefit from it — turning our centralised solutions into decentralised applications, with Elastos DMA support. Brian Xin and Feng Han at the Elastos Singapore Ceremony. How many team members do you have currently working on the project? 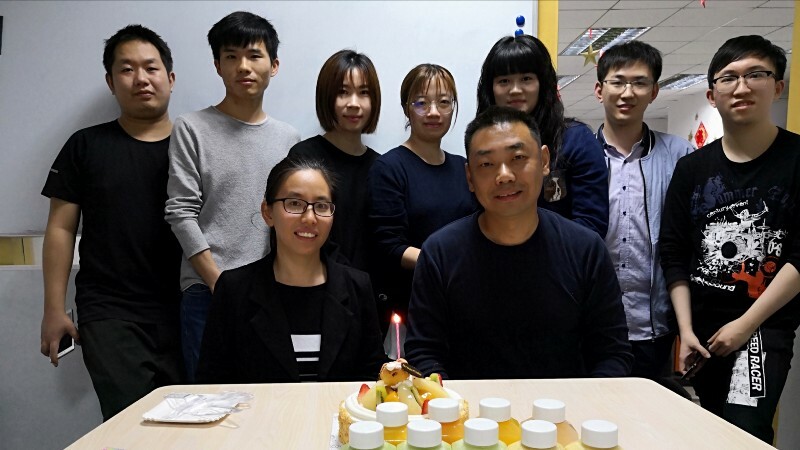 DMA project core team, StarryMedia office, Shanghai, China. What are your overall thoughts on the current crypto landscape? I’m not an active token investor and trader, so I’m not too emotional to the 2017–2018 crypto market hype. But that hype is the trigger for people like me to seriously think about blockchain technology and the future economy. As an entrepreneur with a technology and business background, I strongly believe the future is bright if we can correctly use blockchain technology as an important part of the future Smart Web. Reshape the business model with a token economy, and transform the business into decentralised commerce. The future is here, just some people see it, and some don’t. There is no magic in an industry upgrade. Things happen gradually. If we work on things we believe in, step by step we will soon be overwhelmed by the outcome. As a marathon runner, I understand the ‘knock-down-walls’ period. It is very difficult, but it’s normal if you want to pursue long term success. Which DMA use case are you personally excited about the most? I put four use cases into the white paper: Digital assets, copyrighted content, personal data driven advertising, and social commerce. The reason I listed these four first, is I understand them with practical business experience and also believe they are achievable goals with near-future business value. Review meeting for our first DMA milestone at the StarryMedia office. How does the ELA token play a part in the DMA economy? ELA is the base currency of the whole Elastos ecosystem. DMA is the sidechain economy. DMA sidechain will follow the Elastos sidechain value exchange protocol. Inside the DMA platform, DMA is the utility token inside the DMA sidechain. People will use ELA tokens to get DMA tokens. Some people in the community have been asking why we don’t just solely use the ELA token in the DMA economy? My answer to that would be from two angles. Firstly, DMA is the sidechain and ELA sits on the main chain. Technically, there will be a conversion between ELA and DMA. DMA is the native token to run on the DMA Ethereum sidechain. That’s the must-have step to make the internal DMA flow work. Of course, we can pack these steps into one click. The end user pays using ELA and gets their ticket. ELA > DMA and DMA > ELA conversion can be invisible to the end users. We are in the process of incorporating DEX functions and payment modules into the DMA exchange (although, not in the immediate 1.0 beta release). When it’s in place, people can directly buy tickets using fiat, or any other token. Secondly, in order to maintain the DMA economy, the DMA token is the way to incentivise users and other contributors in the DMA economy. If people frequently buy and sell items in the DMA-powered dApps, using the DMA token will save a lot of hassle. Such as ELA > DMA exchange fees, and also the performance factor. When people decide to withdraw money from the DMA economy, they will change to ELA in one step. After all, DMA is just the sub-economy of ELA, not a friend-economy model. The GDP of DMA is part of the ELA economy. Of course, by providing the flexible payment options such as fiat to token directly, it doesn’t automatically mean the dApp can fit into every market. DMA is just a technology enabler. Business-wise, dApp developers and operators should be aware of its local market regulation and choose the right options in order for it to be legally compliant. There is ongoing active discussion on this topic. I encourage people to let me hear your solutions and suggestions. There is a trial period between the DMA 1.0 beta and the production release. We have time to create an optimised model for DMA. I believe this solution will also benefit all future community projects similar to the DMA project. The ultimate goal is to boost ELA’s value and also create enough incentive for the DMA sub-economy. 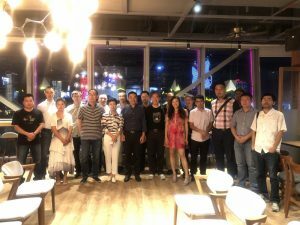 DMA Project kick-off meetup, with the Elastos core team and Shanghai community, Shanghai, China. What should we expect from the Elastos Ticket demo on the 31st January? ‘Elastos Ticket’ dApp is the demo of the DMA 1.0 beta. It will show all major functions of DMA through several typical use flows in the ticket dApp UI. The tickets are tokenized ERC-721 tokens and merchants can issue event tickets in the DMA merchant web. Users can then buy tickets in the B2C store. Once the ticket asset is in the user’s wallet, they can then use, forward, and resell it. Once resold, it is submitted to the second hand marketplace. The ticket use is enabled through QR code scanning. The team will release a Powerpoint with all use flows. What are the key steps to success of the DMA platform? The DMA 1.0 Beta and ticket app is just the first step. There is no magic in software engineering. No platform and application is perfect on the first release. 1) Before it’s wide open to the public, we will build an early adopter group. We will focus on 3–5 key applications. Support them, build the apps and optimise DMA 1.0. These are the real commercial dApps. 2) At the same time, we will work with the core team to ensure the underlying infrastructure is ready for the production environment. Especially the Ethereum sidechain and distributed storage. If the release of the sidechain and storage is not ready by end of Q1, DMA should have a plan B. In the current test environment, DMA is a private Ethereum chain and private IPFS. 3) By the end of March, we will launch DMA 1.0 and all commercial dApps. DMA 1.0 will be stable with business-ready dApps. We think the above three elements are important as the first steps to success. DMA 2.0 development will be started in late Q1 and then go full speed in Q2. The key of DMA 2.0 will be in personal data management. The key factors for success are we must define and develop the DMA framework based on real market demand. The market requirement should have business sense. The early adopter dApps should have real business models and can run for profit. 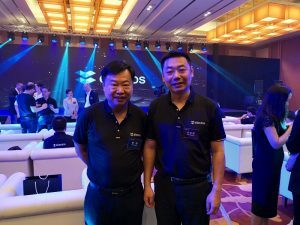 DMA’s success will be an important part of Elastos’ success. 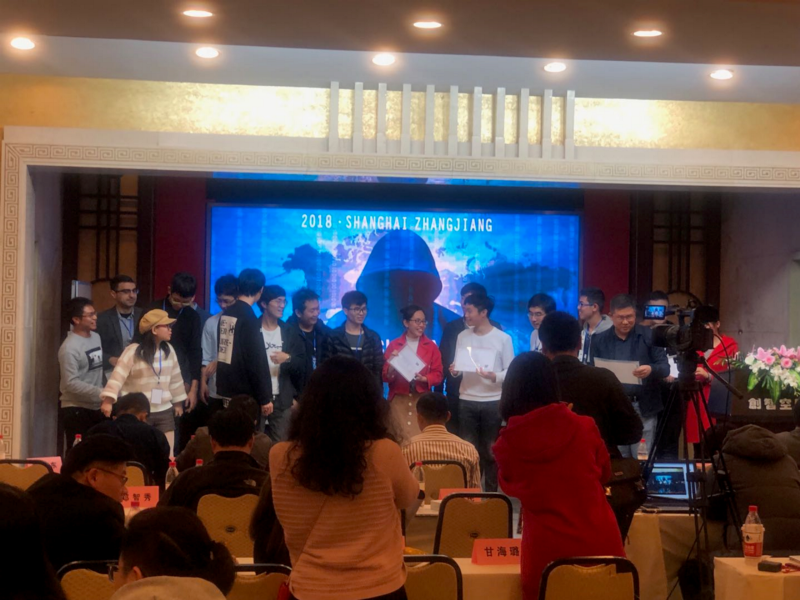 DMA core team won the prize at the Blockchain Hackathon, Shanghai. The team built the ‘meetup’ dApp within a sleepless 24 hours, utilising Elastos DID and Ethereum. The dApp will be migrated into the DMA platform very soon. How can the community help with the project? The current community is already involved. Marketing promotion, building use cases, developing local business opportunities, developing dApps on DMA, participating in the DMA development, DMA community operation, etc are all needed. However, we are still trying to figure out the best business model for DMA to grow, such as the economic model for supporting the above participants. In short, we need to have a constant funding source to support the DMA community development, and let participants benefit from it directly. I think a purely volunteer-based model might not work for too long. 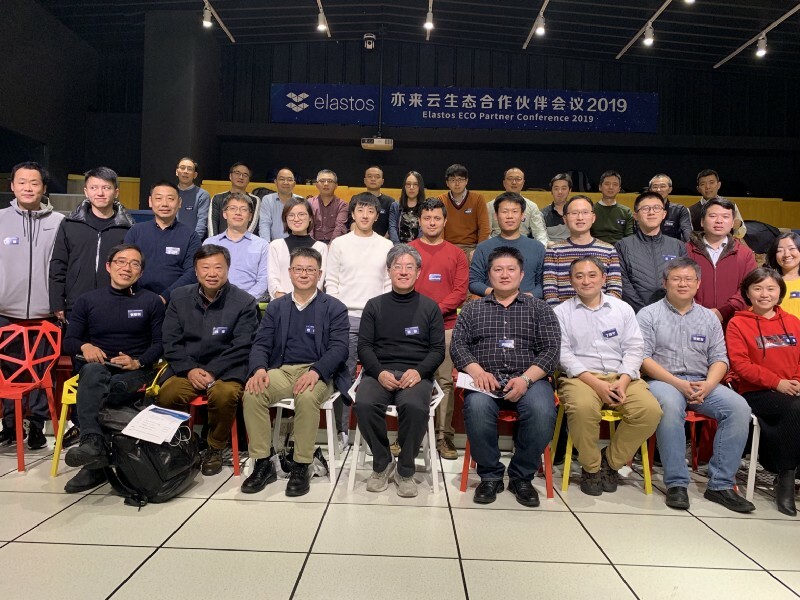 The first Elastos ecosystem partners conference in Shanghai. What are you most looking forward to in the near-term, and also the long-term for DMA? Q1 — Stabilise the DMA 1.0 beta and support the development of several commercial dApps. Build the economic model for DMA. Q2— Release DMA 1.0 to the general public, run DMA Devcon and dApp challenge. Develop DMA 2.0. Q3— DMA 2.0 beta development and early adopter dAPP development. Q4 — DMA 2.0 release — Fully support asset management and personal data management. 2020 — Continue maintaining and enhancing DMA, supporting a wide range of use cases/dApps. This is the best estimate in my mind now. It’s a bit aggressive, but doable. However, as I always say, the best business plan is the one that gets updated every three months. So, don’t feel surprised if we update the plan for the best interest of the Elastos DMA platform and community.